Ahhh, the annual round up of who I think should be on your radar this year. Please note that none of the photos are mine but have been edited by me. I discovered these guys through a NME article not too long ago. Their name came above a headline of, "combine dark grunge with sticky, sweet Americana." So naturally I listened and of course I was hooked from the word go. Hailing in from Brighton, this four piece have been very secretive regarding the visual aspect. No photoshoots or music videos. The single artwork was the only visual they provided- a plan to keep the focus on the music. Singer Izzy B Phillips has voice to rival Debbie Harry's. Her heavy but sultry 90's drawl compliments the beautifully hypnotic music. 2016's calendar so far holds festival slots, album plans and touring Europe. 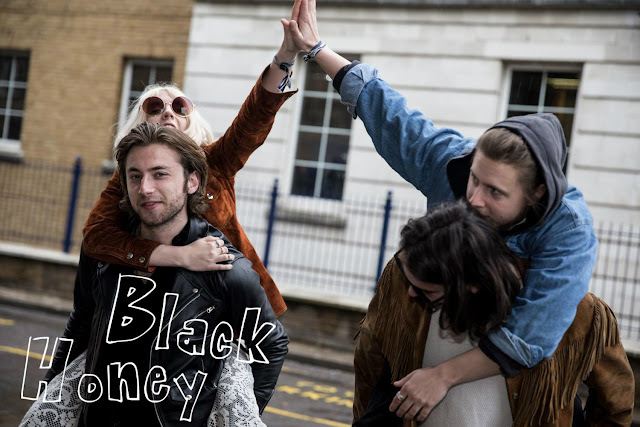 Look out for Black Honey- they're going to be huge. Personal Favourites: Madonna, Teenager, Bloodlust. For Fans Of: Wolf Alice, Swim Deep, Sundara Karma. Of course, it wouldn't be my list without a couple of pop punk bands included. First up from that genre- Boymeetsworld! These Ohio lads had a pretty good 2015. With a slot on the Vans Warped Tour and an album to name a couple. These guys through it back to the original pop punk style, with a satisfying mix of melodies, hooks and chants the crowds will love. BMW formed in 2012 and there's a reason why their fanbase is rapidly growing. Personal Favourites:Feel It In The Air, Girl In Front, Right Where We Belong. For Fans Of: ROAM, As It Is, New Found Glory. Most people will know Jamie Campbell Bower from his roles in Harry Potter or Sweeney Todd. I personally was also a big fan of his previous band, The Darling Buds. 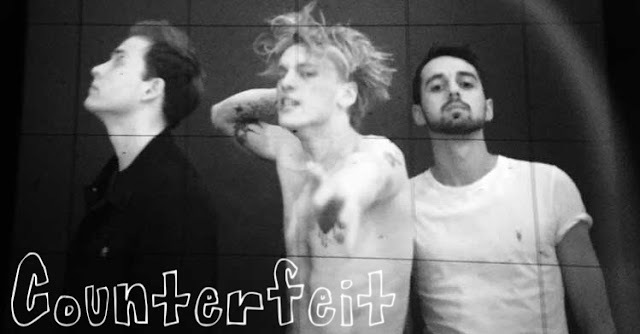 Counterfeit won my heart just as quickly. Despite forming recently and with only a few songs released so far, these guys are making big waves. Jamie's voice has the perfect blend of angry and sultry mixed in with classic rock. Add in the heavy drums and glassy guitars, by Roland Johnson and Tristan Marmot respectively, and you've got a raw, uncensored, modern take on the punk genre. I'm also getting some Nirvana vibes. Hopefully 2016 will see the release of an album and a full nationwide tour from this trio. Personal Favourites: Family Suicide, Come Get Some, Letter To The Lost. For Fans Of: Frank Carter and The Rattlesnakes, Beartooth. Listening to: Our Last Night- Road To The Throne.